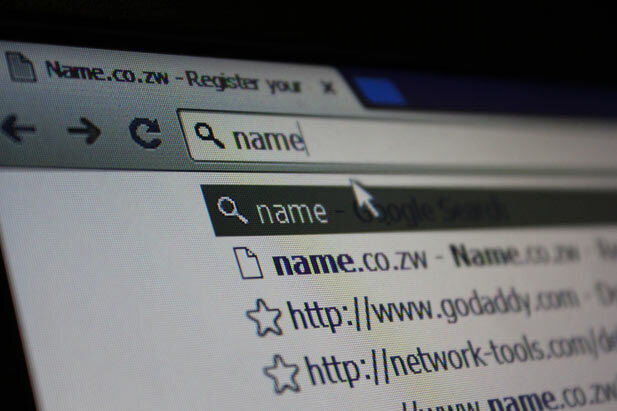 This is the third in a series of guest articles authored by Isaac Maposa, the co-founder of Web Enchanter, a Zimbabwean startup in the domain registration space. This feature is on domain names. Who Is eligible to register or own a domain name? Any individual or organisation has the right to own a domain name. The domain name must, however, not infringe on any copyrights or trademarks. Some ccTLDs may only be restricted to companies that are registered in that specific country or citizens of that country.Domain names (or simply domains) are registered on a first come first served basis, but you have to ensure that it’s not infringing on certain copyrights and trademarks as this can lead to a lawsuit. Registering a domain name is the first step towards establishing an online presence. To register your domain name online you may take the following steps depending on the registrar you use. This is just a guideline for the domain names process. Think of the name or domain names and the extension that you want to use e.g .com, .co.zw or .org. The domain may be a company name, product name or a name that represents a particular idea or expression. Choose domain registrar and use the availability checker to see if the domain is available. For example for .co.zw domain you can check on name.co.zw. If its already taken, try another domain name, extension alternative or play around with the name. Some registrars give you suggestions. Once you find the available domain proceed with the registration process. You will be asked to open an account with the registrar, it is this information you provide that enables you to log in to your account and change the domain name’s records. Most registrars can provide you options to buy additional services like email hosting, web hosting. Also to note is the option to buy Privacy Protection so that people won’t be able to query your who is details. This does not apply to some ccTLDs like the .co.zw domains. You are also asked to specify the years you are registering the domain, this can span from 1 year to 10 years. Please note that domains are usually registered for a minimum of one year though some requires a minimum of two years. If you already have a web host, use the primary and secondary name servers provided by your host to point the domain to your host’s servers. If not you can use the domain registrar’s name servers which you can change later or set the DNS records within the registrar’s control panel to point to the servers of any host you will choose. To complete the registration process you have to make your payment. Registrars offer a number of payment options to use like, the credit or debit cards, PayPal, EcoCash and Telecash. You will receive a confirmation via email that your domain has been registered. It’s important to keep this information safely for future reference or use. Once the domain is registered you can now proceed to use it for whatever purpose you intend to use it for as i highlighted in the part 1 of this article series. N.B: You can register your domain with a registrar and host the website and email services with a different company that specialises in hosting. Does registering a domain automatically entitle me to a website or emails? Just as buying a stand does not automatically mean you will have a house on that stand, registering a domain name doesn’t mean you automatically have a website or emails. They are distinct from registering a domain name. To have a website on that domain you would need to develop a website by yourself, contracting a freelancer or web development company. Once the site has been developed you can purchase a web hosting package in which some registrars include free email accounts on the hosting package. Once you have purchased the web hosting package, the website can be uploaded to be viewed publicly online. However you can also have emails on a domain without having a web site or as you wait for the website development process to be done. You can notice that these three things are distinct services. Despite the three being distinct it is impossible for one to have the professional emails and a website bearing a custom domain name without registering a domain name. Therefore it all starts with a domain name.